The Lagos State Police Command on Wednesday paraded a self-confessed leader of the Eiye Confraternity, Ibrahim Balogun, aka Small Jpron. The 29-year-old, earlier declared wanted for five murder cases in the Somolu and Bariga areas in 2016, was arrested on Saturday by detectives attached to the Alade Police Division on Apata Street, Somolu, Lagos after he led his boys for a reprisal attack following a recent cult clash. 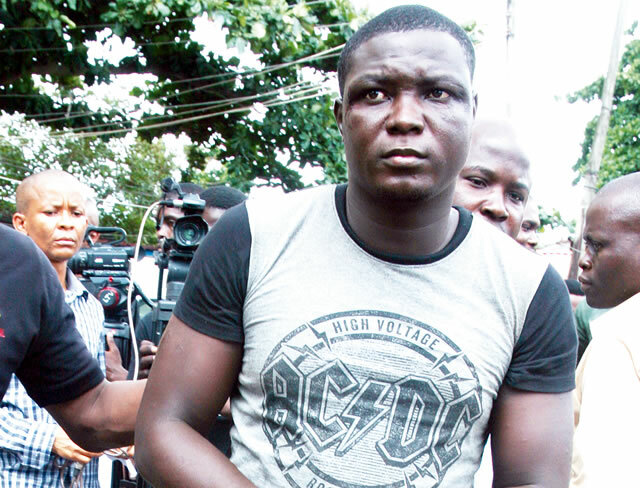 Speaking while being paraded at the command headquarters, Ikeja, on Wednesday, the suspect said he joined the cult to avenge the murder of his friend in 2009 by suspected Aye Confraternity members. He said, “I am an Eiye cult leader. I joined the cult in 2009. The reason for my joining was to avenge the death of a close friend, Sunday Folorunsho, aka Small Biscuits. The state Commissioner of Police, Fatai Owoseni, told newsmen that: “Earlier this year, there were major cult clashes, where criminal elements in the Somolu and Bariga areas engaged one another in a war of supremacy culminating in the deaths of some persons.